Plans for what would become Rhode Island’s tallest building — proposed for a site on downtown Providence’s former Route 195 land — are moving slowly in Providence City Hall and the State House. Developer Jason Fane needs the General Assembly to rewrite the 2011 law that laid out plots for the former highway land to include less space for a riverfront park and more space for the planned 46-story Hope Point Tower residential high-rise he hopes to build. 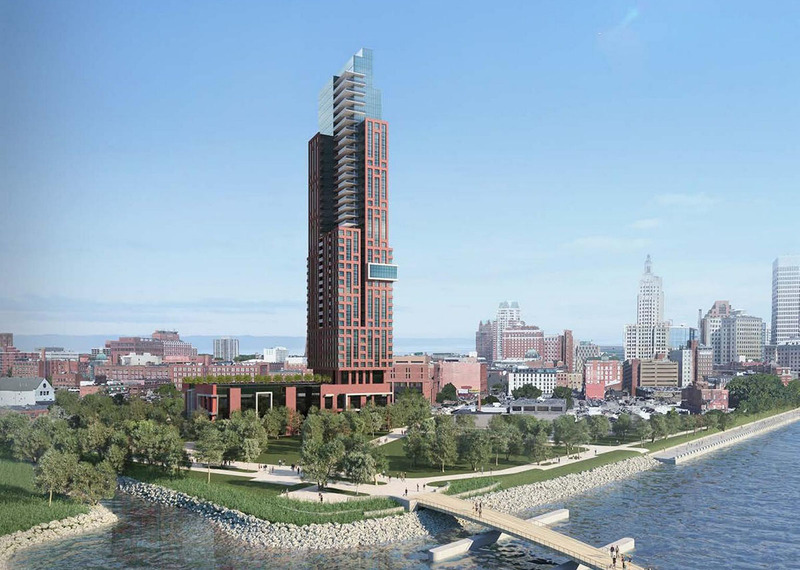 Along with General Assembly approval, New York-based Fane also needs relief from the 160-foot height limit in Providence zoning regulations and to finalize his agreement to buy land from the 195 Commission. The preliminary agreement reached between Fane and the 195 Commission Jan. 31 expires at the end of this month, so the commission will either have to extend it or sign the purchase-and-sale agreement at its next meeting scheduled for March 29.